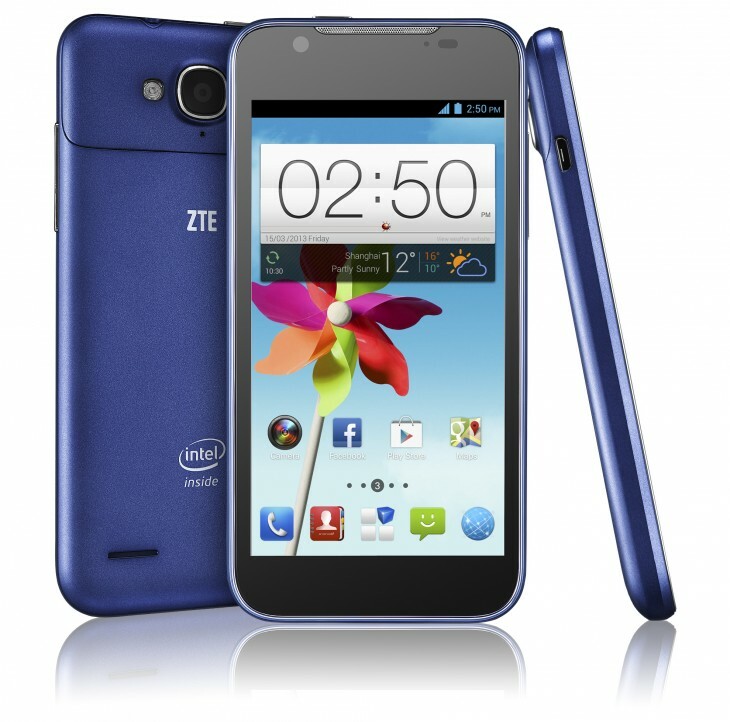 ZTE announce the Grand X2 IN: Intel's new Clover Trail+ processor finds a good home! Yesterday evening ZTE introduced the latest in their line of Android-powered smartphones and this one is the ZTE Grand X2 IN! The device is a very solid mid-range phone with a nice set of specifications and hopefully a very reaosnable price tag too! On the inside there's one of the brand new Intel Clover Trail+ processors from Intel. In this particular instance it's the Z2580 Atom processor which can be clocked all the way up to 2GHz, this is paired with 1GB of RAM as well as 8GB of internal storage which is MicroSD expandable with cards up to 32GB supported here. There's also Android Jelly Bean on board, but we don't know which version of it and there's a good 4.5" IPS display with a 720p resolution up at the front, all of which will be powered by a 2,000 mAh battery! One particular area of interest is the camera set up on this device. On the surface there's a 1MP front-facing shooter and the rear option is an 8MP sensor with a flash, but this smartphone has a special trick up its sleeve and ZTE say that this device has one of the, "shortest shot-to-shot times on the market, capable of up to 24 frames per second and no shutter lag. It secures a high image quality in challenging environments with real-time 2x axis stabilisation, and face and smart scene recognition," and that sounds pretty darn sweet to us and that should be great for capturing action shots! "Is set to build on the success of the ZTE Grand X In, our first flagship smartphone in Europe to feature Intel Inside, and further increase ZTE’s growth in the high-performance smartphone market segment." ZTE have confirmed that the device will be arriving in Europe in Q3 this year and it will also be available for a demo in Monaco in at the MedPi conference from 14-17 May 2013, when we can hopefully get a better feel for this device and possibly even a price point!